When you are sitting at home watching the beautiful white flakes of snow fall to the ground or the average temperature has dropped below freezing do you often think about how much happier you would be if you were getting ready for your tee time at a championship golf course? At times like these wouldn’t it be great to grab your clubs and take off to a place where you can still enjoy a great round of golf? You will find just such a destination in Myrtle Beach, South Carolina. The Grand Strand area has an average yearly temperature of 64 degrees. Even in what most areas consider the dead of winter Myrtle Beach offers average temperatures between 56 and 60 degrees. 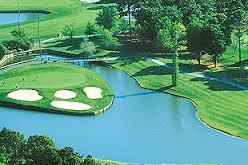 Although almost anytime is a good time to visit the golf course when you are in Myrtle Beach the best months will be April and October when you will find average high temperatures of 75 and 77 degrees respectively and very little rainfall. Myrtle Beach boasts 215 sunny days a year and only 77 days of rain. Rain showers are most common throughout the Myrtle Beach area in June through August. These summer months are also the prime tourist season so although you will find everything in the area open for business you will also find the most competition for reserving tee times on your preferred course. In the spring months of March through May you will find pleasant warm temperatures and much less humidity than in the summer months. Golf courses will be less crowded as will the other area attractions, although some of these may be closed during off season. In the autumn months of September and October the average high temperatures will be between 85 and 77 degrees. The crowds of prime tourist season will have waned and the rates for accommodations will be affordable. You can also enjoy some festivals during this time period when you are away from the golf course. During the winter season of November through February Myrtle Beach still boasts average temperatures in which you can comfortably enjoy multiple rounds of golf on the uncrowded championship courses. Visitors may find that some of the restaurants and tourist attractions have closed for the season however they will also find discounted rates at the courses as well as at the shows, dining, shopping and with accommodation rates. The Seaside Golf Capital of the World, also known as Myrtle Beach, will provide an astounding destination for a golf retreat in any season. With such mild temperatures in the non-peak tourist months Myrtle Beach provides a perfect opportunity to enjoy and with more than 100 golf courses in the Grand Strand area avid golfers will find this destination perfect for an off season golf retreat. Even in the winter months temperatures will average around 60 degrees, perfect for a day on the golf course. Whether you are planning your golf retreat in spring, summer, autumn or winter you will not find a better location for a golf retreat than Myrtle Beach, where balmy ocean breezes and picturesque golf courses are waiting for you. The Grand Strand area has an average yearly temperature of 64 degrees.